With the area’s strong technology presence and excellent educational facilities, Chandler is a prime place to live for both individuals and families. Between their world-class golf facilities, Arizona resorts, premier shopping and number of aquatic centers, their event schedule is jam packed with activity year round. All the while, business is booming with a range of office, industrial and retail facilities. 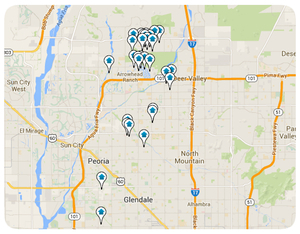 Whether you’re looking for business or leisure, Chandler is an excellent choice!